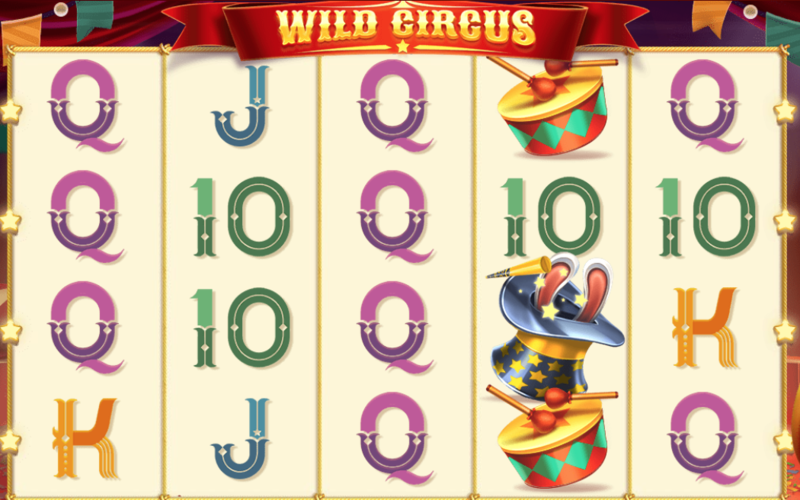 Wild circus slot online invites you to be immersed in the fun with this amusing and high-quality online slot game, brought to us by our highly talented friends at Red Tiger Gaming. There are many reasons to visit a circus but this game comes with a spectacular five bonus features which involve two free spin rounds, cash prize bonuses. Look out for bonus wild symbols and expanding multipliers that are thrown into the mix to provide both an amusing theme and the chance to win some money! Stakes can be set between 20 pence and 40 pounds so, like many of Red Tiger Games – it appeals to the masses. The game adopts a standard 5 reel set up with 40 paylines and can be played on mobile, desktop or tablet devices! Red Tiger gaming have provided online-slot machines to the market since 2014 and provide high quality gaming to players in both Europe and Asia. They are well known for their iconic branding which encompasses the strong head of a red tiger! Look out for their games across a range of online gaming platforms and casinos. What makes their content so appealing is the fact that they specialise in developing high quality slot games to play online – aiming to create iconic and creative themes for their players. Like many of their games, Crazy Genie is made for the masses with potential to play on low bets but also to win big! The symbols are a range of eclectic and visually entertaining objects that may be found in a circus show. The symbols with the lowest paying returns include: colourful juggling balls and clubs, drums and the circus ring masters top hat. 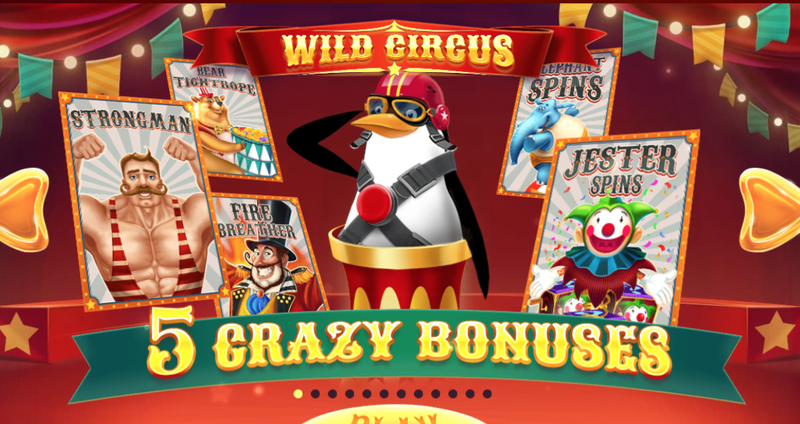 The wild symbol in Wild Circus consists of a crazy little monkey who jumps on the screen and can offer up to 120 times your original stake per pay line. If three bonus symbols are triggered on the same spin, the bonus round is triggered. The player then gets the chance to influence which bonus round they get by firing the cannon, deciding which bonus feature is given. Sign up today and enjoy our range of UK slot promotions with Wild Circus! Elephant spins awards free spins, notice the elephant sitting at the side of the reels who offers a multiplier – each upgrade symbol will increase the multiplier by 1. This is a really generous slot game because you even get offered a 50/50 retrigger when all of your free spins have being exhausted. The fire breather feature allows players to select one of the burning torches; enter the fire-eater who blows the flame to reveal cash prizes. Jester spins is a fun version of a free spins round whereby the jack in the box has the potential to add multiple wild symbols to the reels. Other engaging bonus rounds include moving a unicycling bear along a tightrope to collect coins – pressure! Finally, the strongman round involves picking 1 of 3 balls for the chance to win a multiplier prize. This is a well themed online slot game that provides both high-quality visuals and some exciting bonus rounds that make the players more involved in the game! The payouts are also good with the bonus rounds offering the potential for some generous winnings! Try more games by Reg Tiger Gaming on Easy Slot.